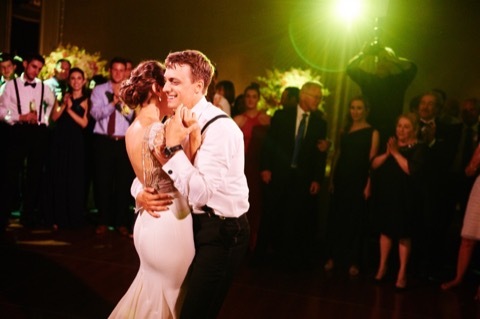 Sarah married her 8th grade sweetheart, Jonathan, in a gorgeous ceremony and reception that was brimming with pink elements, from the floor to the ceiling. 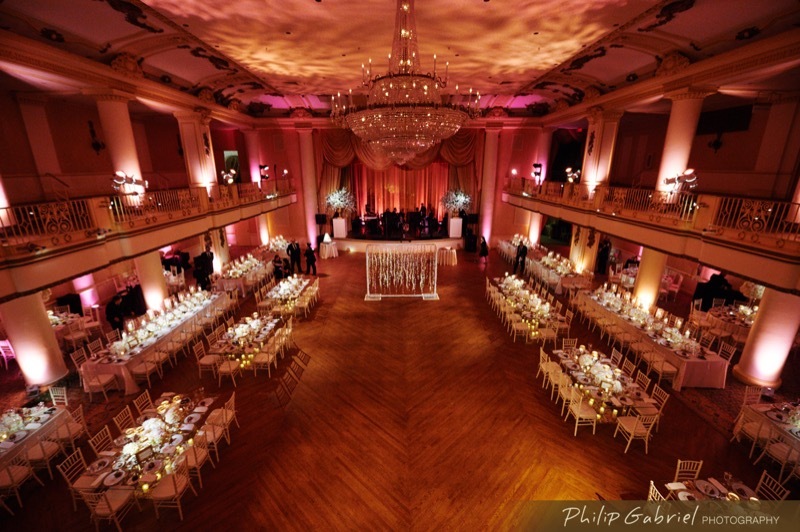 When guests entered the beautiful Logan Hotel in downtown Philadelphia, they were welcomed into an exquisite ballroom custom tailored from the experts at Kim Rosen events, who worked hand-in-hand with our team and the team at Penncora Productions to create a cohesive design concept. 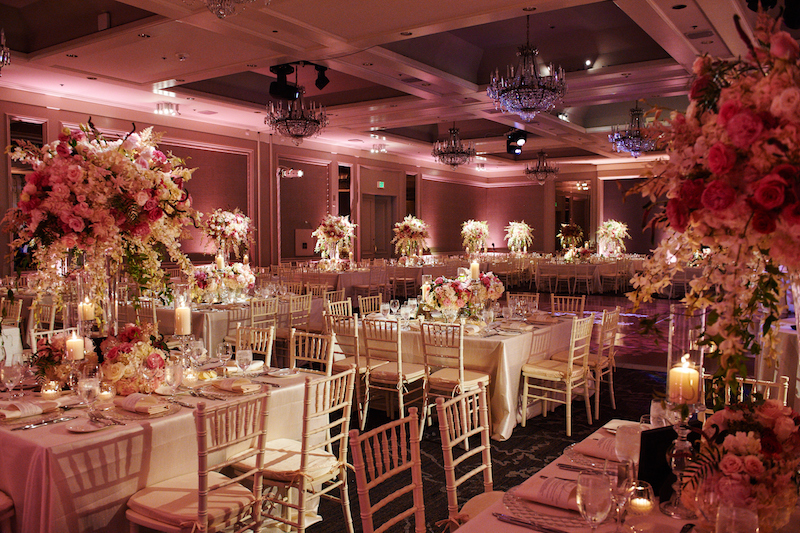 Projecting skyward were beams of soft blush pink, achieved by placing our uplighting fixtures strategically around the room for ample light coverage. 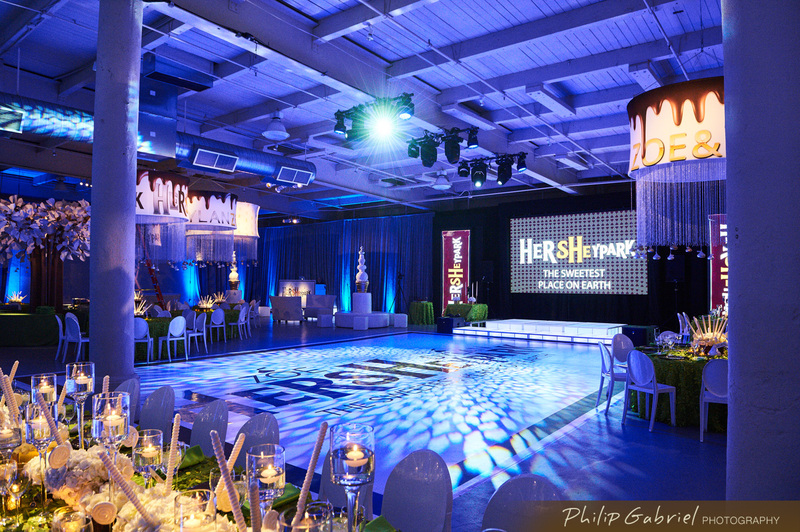 Depth was added to the design by incorporating a few dozen of our magnetic pin spot fixtures, 2 of which perfectly lit each centerpiece, from opposite angles. 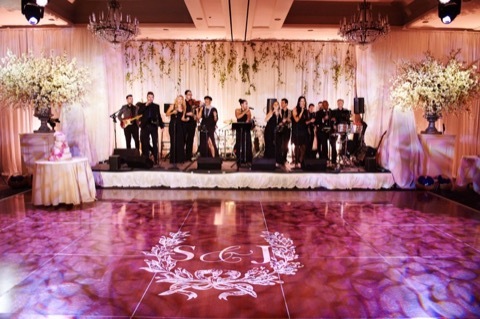 We lit the band, EBE Events & Entertainment’s LA Starz, using 2 lekos with a soft, out-of-focus pattern in a dark amber color. 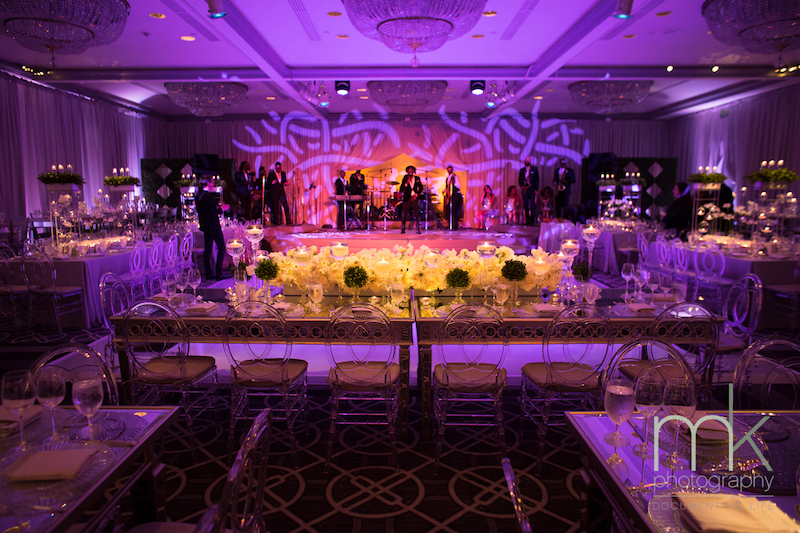 Illuminating the dance floor were several of our intelligent lighting fixtures, which we programmed to change colors throughout the evening, dependent upon the different formalities that were to happen during their reception. We also used gobos within the fixtures to project various patterns, breaking up the sharp beams in favor of textured light. 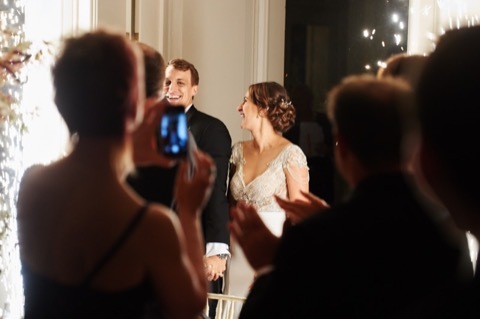 When they entered their beautiful reception, Sarah and Jonathan were greeted by our energetic and magical flameless sparklers, reaching the top of the ceiling for an unforgettable welcome as the newly married couple. 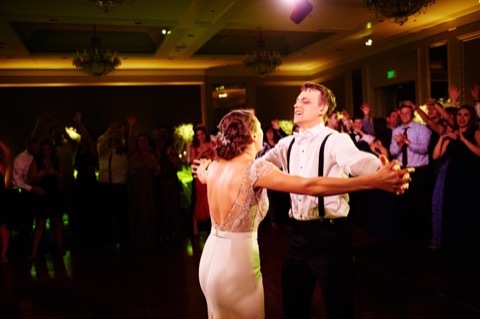 Congratulations, Sarah and Jonathan!